Today I want to talk about a systematic way to tune out the cacophony of people that proclaim to see the future before it unfolds. 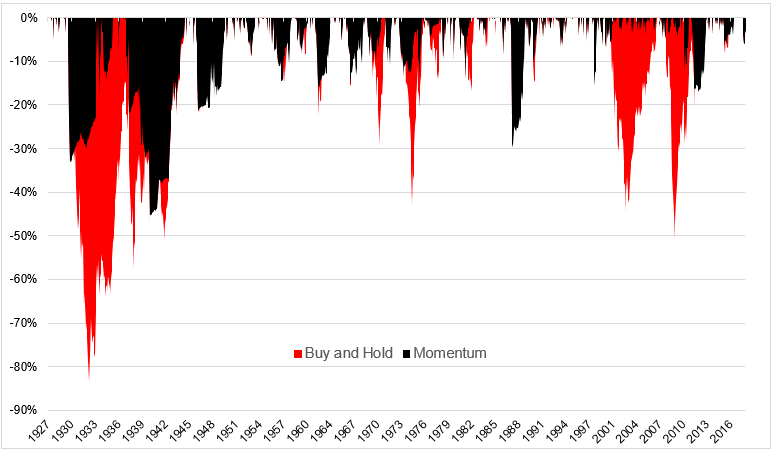 Momentum is the finance version of Newton’s first law that an object in motion stays in motion. Most people reading this will understand and accept this concept to be true, even if it’s not part of their strategy. In fact, it’s highly likely that momentum is nowhere to be found in your portfolio. The top three momentum ETFs have just $11 billion in assets, and 80% of that is in the iShares ETF, MTUM. Cliff Asness is one of the pioneers in momentum investing and even the AQR Large Cap Momentum Style Fund has just over $1 billion in assets. To give you an idea of how small this is, NUGT, the triple levered gold bull ETF currently sits on $1.4 billion. There are an infinite number of ways to both measure and implement a momentum strategy. 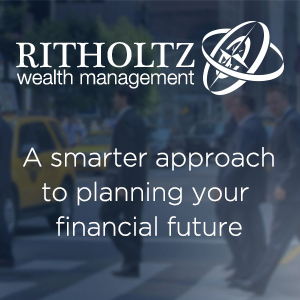 You can do it across asset classes, across sectors, or within individual stocks. 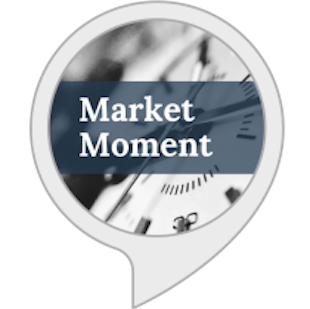 You can use cross-sectional momentum, which typically measures a combination of stocks, bonds, currencies and commodities on the basis of their relative performance, or you can use time-series momentum where securities are chosen on the basis of their absolute performance over a specific time period(s). And within these periods, you can measure momentum over one-month, six-months, or twelve-months. Like I said, infinite ways abound. Even simple strategies can get mildly complex. 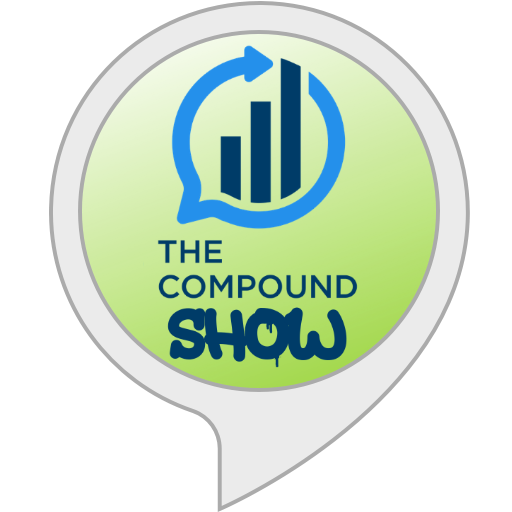 Let’s say you want to create a strategy that invests in a combination of stocks and bonds on their relative 6-month performance. If stocks outperform bonds over the previous six months, then in the next month, invest 70% of the assets in stocks and the remaining 30% in bonds. If the reverse is true, that bonds outperformed stocks over the previous six months, then in the next month invest 70% of the assets in bonds and the remaining 30% in stocks. Then you have to decide which stocks, and which bonds, and how to weight them. All of this is is enough to give most people a headache. Today I’m going to share with you one of the simplest ways to measure and execute a real-world momentum strategy. 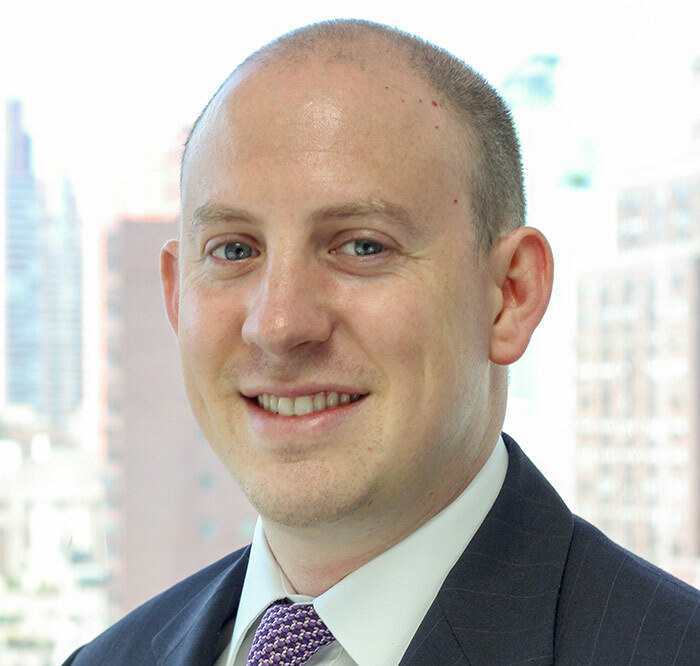 Here are the rules: If the S&P 500 outperformed 5-year U.S. treasury notes over the previous twelve months, invest 100% of this portfolio in the S&P 500 in the following month. If the 5-year U.S. treasury notes outperformed the S&P 500 over the previous twelve months, invest 100% of this portfolio in bonds in the following month. That’s it. Pretty simple. Like every back-test ever written and read, this one looks pretty good. Before we go on, all the usual caveats apply. This is not investment advice. There are no transaction costs in here. The S&P 500 in its current state didn’t exist until 1957. The first index fund wasn’t available until 1976, et cetera, et cetera. 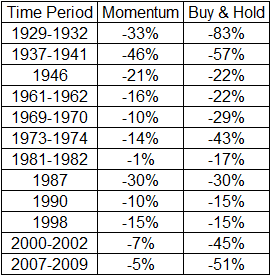 This simple momentum strategy would have grown at 10.5% for the last 91 years, compared to 10.1% for the index. It outperformed the S&P 500 with significantly lower drawdowns. In the 21st century alone, stocks have experienced two crashes. 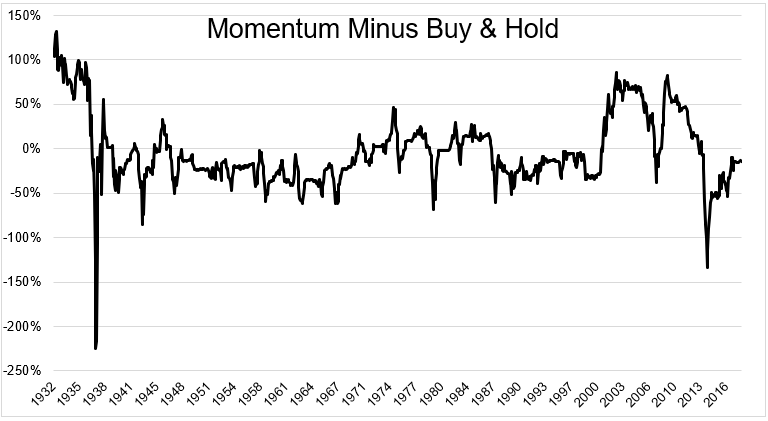 Over the same period of time, this simple momentum strategy has had a maximum drawdown of 17%. 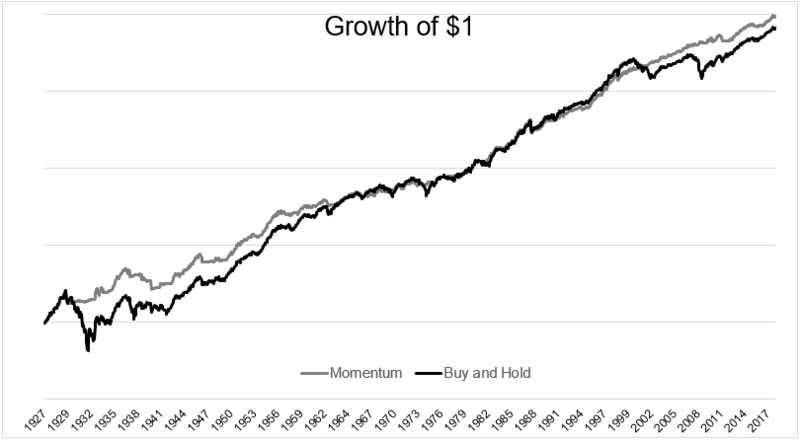 A 91 year chart showing the growth of $1 is basically meaningless, because it hides the real-world experiences investors would have had to deal with along the way. 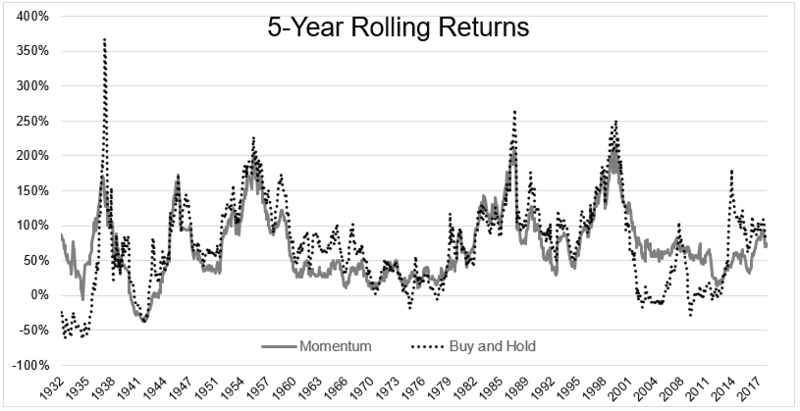 To make this only slightly more applicable, let’s take a closer look at how this strategy would have fared versus buy and hold over rolling 5-year periods. Here’s the same chart above, broken down into outperformance and underperformance. Above zero, momentum is outperforming, below it’s underperforming. This shows the triumph and tragedy of trying to have your cake and eat it too. As of February 2014, the simple momentum strategy had underperformed buy and hold by 134%. As Corey Hoffstein always says, no pain, no premium. Imagine the investor who just saw a huge portion of their wealth vanish during the GFC, and looking for a way to minimize the risk of another deep drawdown, found this sort of strategy. They looked at the back-test and liked what they saw. This strategy is certainly not bullet proof, but this table alone is enough to get somebody coming out of the crisis to make the leap. And then the real world happened. The investor would have dealt with something I’m fond of saying; The worst ten-year period for any back-test is the next ten years. 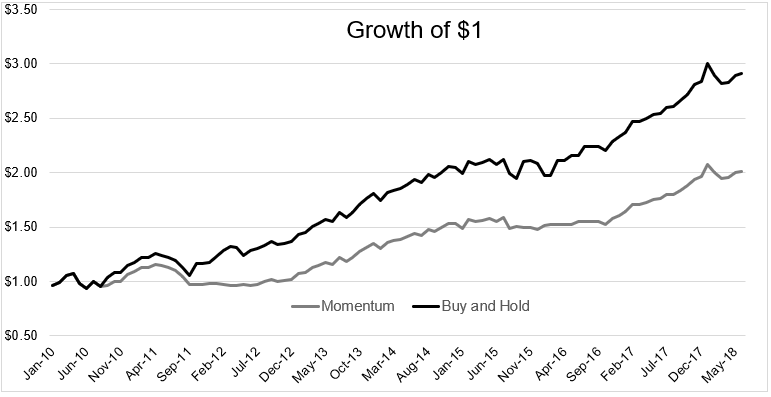 Since 2010, buy and hold has grown at 13.4% a year (191% total) versus 8.6% (100% total) for the momentum strategy. I understand why people publicly try and call the top. The risk/reward is asymmetric. But I don’t understand why so many people pay attention. Investors would be far better off muting these predictions and instead trust the process behind a simple momentum or trend following strategy. When the market experiences a prolonged period of decay, something as simple as this will pick up on it. It might not do it at the top, there might be false positives (and taxes) along the way, but eventually, the signal will, well, signal. When it comes to protecting against a prolonged bear market, simple is better than complex and processes are better than pundits.